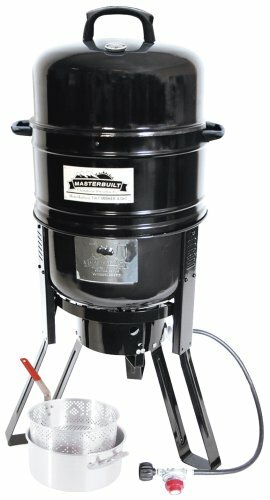 Masterbuilt electric smoker reviews: which one is best for you? You might be known for making some pretty decent meat on your regular charcoal grill, but if you want to be the talk of the town, or if you simply want to up your game for your own pleasure, a smoker is the way to go. If you’re looking to make mouth-watering ribs and the perfect pulled pork, you should get your hands on a smoker. It is a great asset for fans of outdoor cooking, as it’s durable and makes cooking effortless. The construction of a smoker makes it easy and ideal for cooking meats of the toughest cuts at low temperatures over longer periods of time. How? By using smoke as a means of cooking the meat, and through maintaining a temperature of between 225 and 275 degrees. The result? Unparalleled moist and tender meat, plus a guaranteed, distinctive and inimitable smoky flavor. Do you prefer charcoal, gas or electric models? What quantity of meat are you planning on cooking? There’s a multitude of options when it comes to smokers, so don’t worry, you will find one to match your preferences as well as your budget. 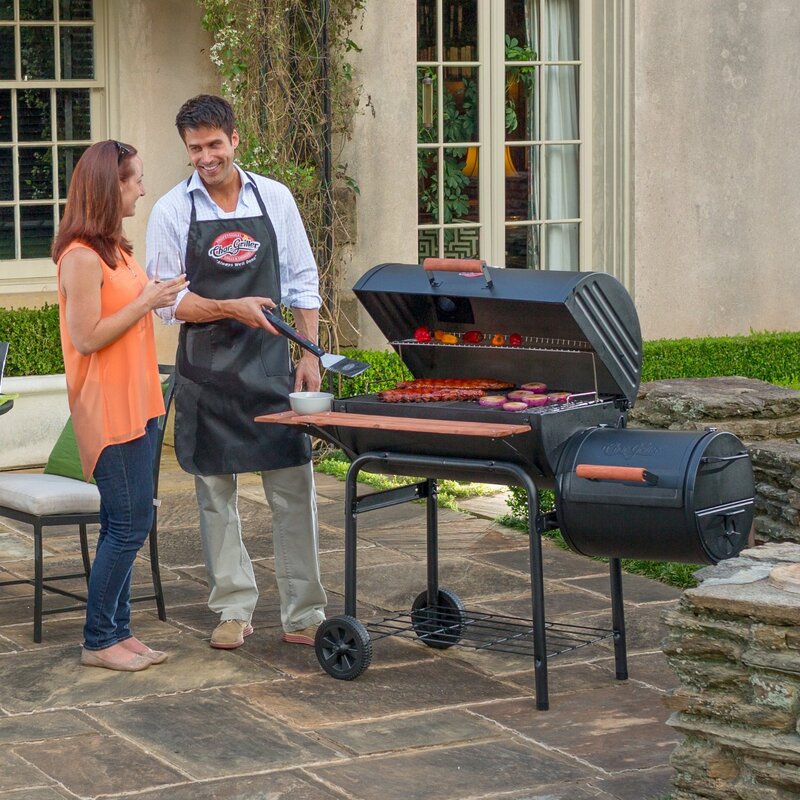 But before you pave your way to successful backyard parties and summer BBQ gatherings, make sure you look at the following criteria when you’re hunting for the smoker that’s right for you. Home smokers range in price, anywhere from $50 for a cheap one, to $10,000 if you’re looking for something custom-made. A quick online search could very easily leave you more capricious than your usual self, so it’s best to set a budget before you set on reading meat smokers reviews. After you determine how much money you’re ready to invest on a smoker, you can start looking into different types and features. 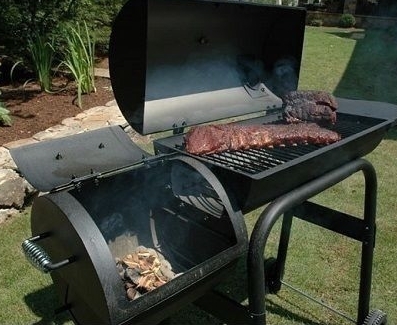 Charcoal or gas smokers are the way to go if you’re on a tight budget, as they’re normally the cheapest options. So if you’re looking for cheap smokers, they’re your best bet. Nevertheless, there are still some models in this range that have great properties and are still sold at a low price. These would be great especially if you’re still starting out. However, if your budget isn’t that restricted, or if you already hold the ‘pit-master’ status, you could go for a pellet smoker. Even here, prices vary widely, but luckily, so do the options available. Smokers come in a variety of sizes. Therefore, you should first determine the quantity of meat you’re planning on cooking, so you can get a smoker that fits the bill. If you consider this before you make the purchase, it will probably save you from problems and hassles in the long run. Luckily, it’s not too difficult to decide on size: you should probably go for a small smoker model if you’re single and will be using it just for yourself or to cook for your small family; whilst a larger model is undoubtedly better for large families or if you plan on using it for big dinners and parties. Note that if you’ll only be cooking at home, just for family and friends, you probably don’t require a very expensive home smoker. On the other hand, an expensive Competition smoker that allows you to cook multiple big cuts of meat at a time, is a must-have if your plan is to compete in a BBQ contest. Weighing up the various types of smokers is a must if you want to make certain your selection is the right one. Your course of action should be to compare the advantages and disadvantages of all the smoker types: electric, pellet, propane and offset. This step will facilitate your decision of which is the best smoker for the money that fulfils your specific needs. Electric Smokers are easy to use, practical and give you total control over your cooking chamber’s temperature, making it easy for you to control the smoke’s density. Using a smoker like this is simple –with electric smokers you can lay back and let it do all the legwork till you’re food’s done, without having to compromise on the quality of the result. You’re only in charge of plugging it in, seasoning the meat, then letting it do its magic. 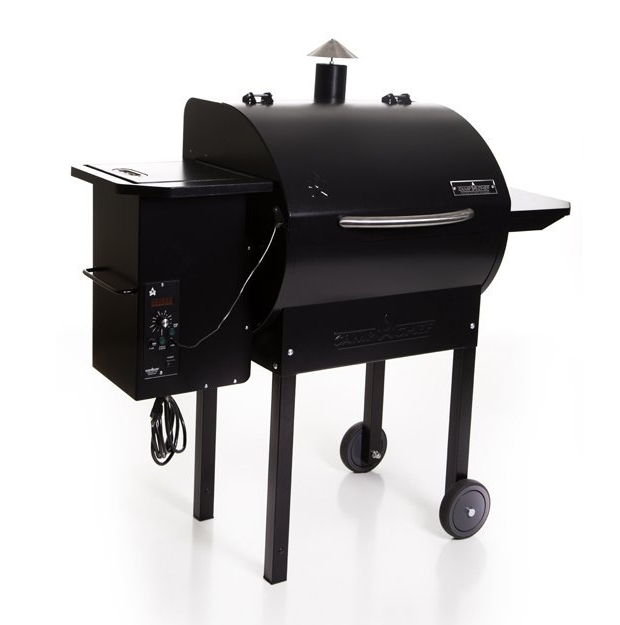 If you’re looking for a top-rated electric food smoker, you should go for the Masterbuilt 20075315 Front Controller Smoker with Viewing Window and RF Remote Control, 40-Inch. It has 975 squared inches of cooking space and four cooking racks that are adjustable. 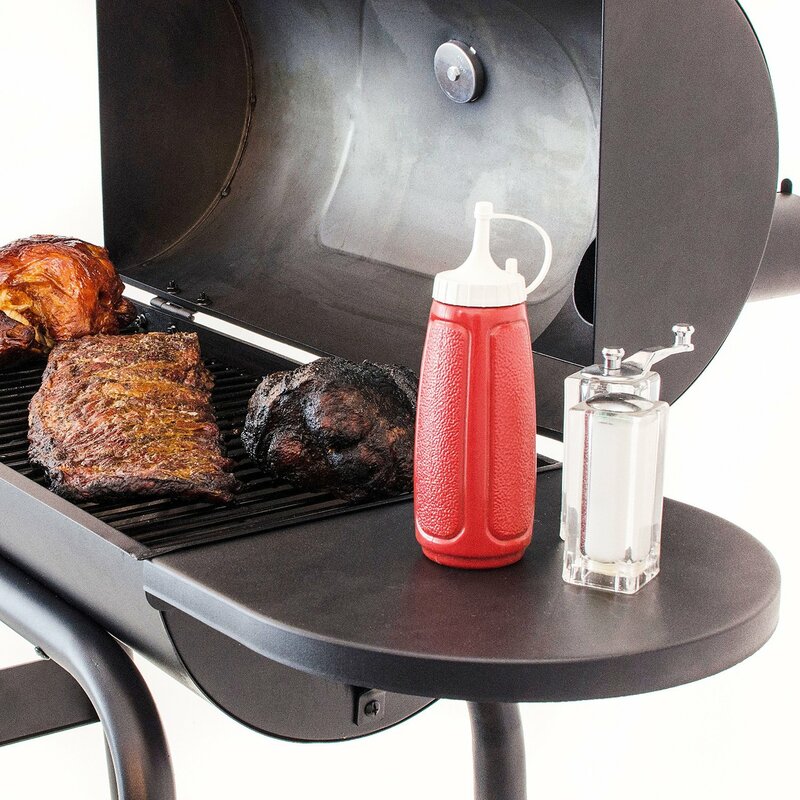 Its front access drip pan and drip catching system in general makes it much easier for you to clean up after using the smoker – not to mention its removable items are dishwasher safe. It also features a smooth operating wood chip loading system and a full foam insulation that locks heat in. Moreover, its integrated control panel has a blue LED display and it makes it possible for you to easily see the operating control panel in direct sunlight. 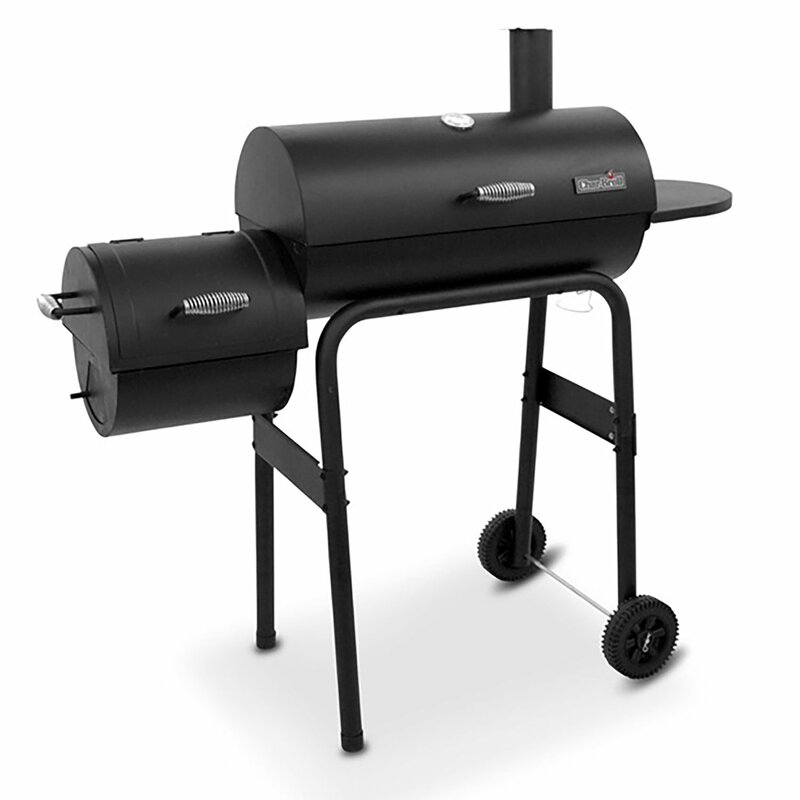 This Masterbuilt smoker also comes with a built-in radio frequency remote and a meat probe. 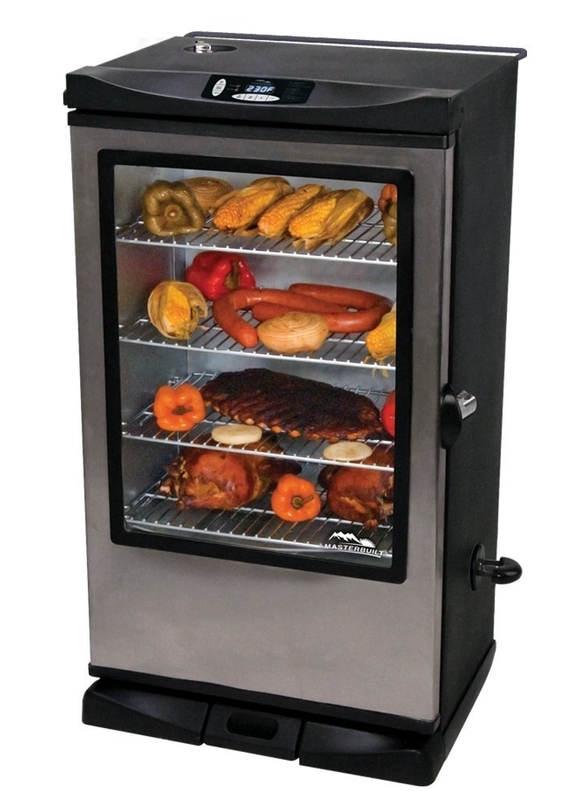 Pellet Smokers offer you complete control when it comes to temperature and smoke production, making it simpler for you to turn tough cuts of meat into flavorful, juicy meals. These type of smokers are the best BBQ smokers if you’re looking for something that’s very convenient, because much like with electric smokers, your fire-tending duties are kept at a minimum. The way they work is that their igniter rod gets activated when you switch the pellet burner on. The rod feeds wood pellets into the smoker’s firebox, creating the necessary smoke to cook your meat. This all happens automatically – a great advantage over its charcoal and wood cousins. What’s more, the pellets are made of natural materials, with no additives or fillers, unlike charcoal – much better for your food. Plus, a pellet smoker removes the need for you to use extra wood chips or flavoring agents for that unique smoky flavor – the natural pellets are in charge of that, and they do a pretty unrivalled job. The Camp Chef PG24 Pellet Grill and Smoker BBQ with Digital Controls and Stainless Temp Probe is the best meat smoker in the range, especially designed for the home chef – it comes with a set of built-in features that make the process of smoking ever so easier. It has 560 cubic inches of cooking space. Its unparalleled Fir Pot Cleanout makes cleaning up a breeze. Also, the unit itself is very easy to assemble. It comes with digital smoker controls and a digital temperature chip that helps produce steadier smoke and temperature. So with this Camp Chef smoker you can forget about temperature swings and expect that much-desired temperature consistency. Propane Smokers are known for their ability to produce that authentic BBQ flavor. Using a gas smoker to cook might be considered one of the healthiest means of yielding tender and juicy meat. The scrumptious smell such a smoker produces is also an unequalled favorite with many. As is the drooling anticipation that comes along with it. One of the advantages of such a smoker is that the heat source cannot be traced when you taste the product. Nevertheless, it’s simple to alter your meat’s flavor – all you have to do is change the type of wood chips you’re using in the pan. Also, the ease of use of a propane smoker is similar to that of electric smokers, and you don’t have to tend to it all the while your meat is cooking. Additionally, it’s also quite easy to maintain the cooking temperature with a propane smoker, acquiring the juiciness and tenderness you want. The Masterbuilt 20051311 GS30D 2-Door Propane Smoker is one of the best meat smokers in its league. It’s a real beauty: 717 squared inches of cooking space, a stainless steel burner, a removable porcelain-coated wood chip tray and water pan, four chrome cooking racks, a built-in temperature gauge and two gorgeous touch wire handles. 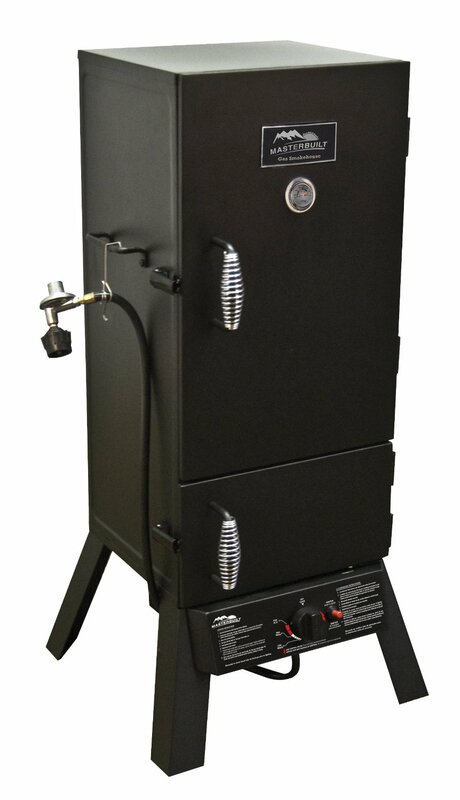 This vertical gas smoker gives your meat an authentic smokehouse taste. It has a locking door and inner liner that work to lock in the heat and smoky flavor, as well as an air damper that helps you to control the smoke better. Whatever meat you’re cooking, you can be sure your house or backyard will be permeating with that sweet, sweet barbecue flavor. Offset smokers are made of a horizontal smoking chamber and a separate firebox on the side. However, you can also find a vertical offset smoker. Whilst the charcoal and smoke wood are burning in the firebox, your food cooks in the smoking chamber. If you get a well-built offset smoker, constructed of thick steel, it will be able to retain heat well, and give you maximum heat control and saves you from temperature swings. The great thing about this modern feature of the traditional charcoal smoker is that you don’t have to stay hovering over your grill, continuously checking the temperature and shoveling coal. Even though you don’t have as much leeway as with other types of smokers, One disadvantage of an offset smoker is that they’re usually heavy, so it’s best to try to find one that has wheels or casters, for easy transport. A lot of smoker reviews deem the Char-Broil American Gourmet Offset Smoker, Standard to be the best smoker grill for a smoking newbie. It’s a combination offset smoker, BBQ and charcoal grill with a 290 squared inches of cooking surface in the main chamber, and an additional 140 square inches in the firebox chamber. On top of that, it’s really and truly quite a cheap smoker. It features a porcelain wire cooking grate and an adjustable-height steel fire grate. One important plus of this model is that the simple clean-out door makes it super easy for you to remove ash. A food smoker’s durability depends on mainly two things: its construction and its owner’s care for it. If a smoker is well-made and it is properly cared for, it ought to last for many years. And it’s not impossible to get hold of a smoker that is reasonably priced and well-constructed. You’ll need to look into the materials used to make the smoker, and evaluate the quality of its construction. A good deal of your smoking will be done at low temperatures for a stretch of time. Nevertheless, if you’re going for a smoker that gives you the option of setting its temperature, you ought to pick one that lets you reach temperatures of about 500 degrees. Such temperatures are great for caramelizing foods, for example. They also make achieving the perfect heat level simpler. Therefore, you can easily relax and completely forget about your food until its ready. A water smoker is one that has a water pan between the cooking chamber and the source of fire. Its function is to ensure that the cooking environment remains moist. This results in food that’s tender and juicier. The water pan also has the purpose of acting as a heat regulator. It levels the temperatures inside the food smoker. Dry heat smokers, often referred to as ‘stick burners’, don’t have water pans. Some people claim that these type of smokers generate bark that’s superior when compared to water smokers. Thermometers are a must-have accessory when owning meat smokers. No need to continuously ask yourself, “Is it done yet?” – no need to wonder how long to smoke a meat for. With such an accessory there won’t be room for doubt anymore. Smoker thermometers come in various shapes with a whole range of features. They give you the facility of monitoring the internal temperature of your food. Some even let you set the desired temperature and relieve you of further duties, notifying you with an alarm or even notifications on your smartphone, when your food is ready. Some smokers come with a built-in thermometer. 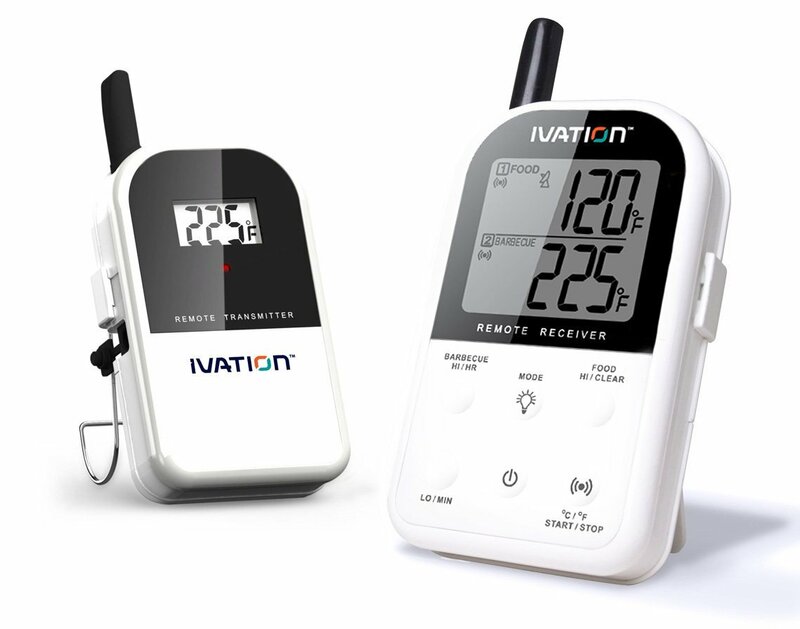 If your choice of smoker doesn’t, don’t fret.There’s a vast choice of excellent smoker thermometers available, like the Ivation Long Range Wireless Thermometer - Dual Probe - Remote BBQ, Smoker, Grill, Oven, Meat Thermometer. It monitors food from up to 300 feet away! Its long range wireless receiver beeps and flashes when the temperature of the meat you’re cooking goes above or below the one you set. The receiver displays grill temperature up to 572 Fahrenheit, and its Lcd also has a back light, enabling you to easily fire up the grill and use it at night! Wheels are indispensable if you want to own a heavy backyard smoker and be able to lug it around as your portable kitchen grill. Go for wheels that are big enough to enable suitable movement, and are well constructed and properly fastened, to avoid issues in the long run. Covers are important to keep your smoker clean and protect it against the elements. If the smoker you choose doesn’t come with a cover, it’s quite easy to buy something yourself, or find other means of sheltering your unit. Racks, whether small and attached or side racks, make it simpler for you to store your grilling tools whilst cooking, or to keep condiments, seasonings or the food itself close by. Adjustable interior shelves are very convenient for cooking various kinds of meats, ensuring that everything fits. These are simply a few of the factors you should look into when choosing the best backyard smoker for you – something which can prove to be quite a challenge, given the numerous models available and the multitude of features to compare and contrast. Each smoker comes with a unique set of pros and cons, and you’ll have to decide which the ideal one for your situation is. If you’re a novice when it comes to food smoking, you’ve never operated a grill, and you’re wondering how to use a smoker and how a smoker works, it’s understandable if you’re somewhat nervous about it. But you shouldn’t worry because smoking meats successfully is easier than you might believe. Bradley digital smoker reviews: Original, 4 or 6-Rack or Jim Bean? Traeger Lil Tex Elite Review: Is this pellet smoker grill worth the price?